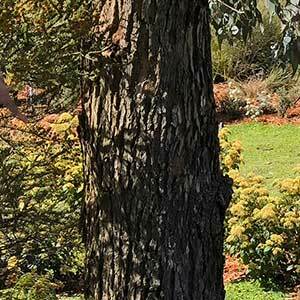 With a range extending from northern New South Wales into eastern Victoria, Eucalyptus bridgesiana is a medium sized tree. 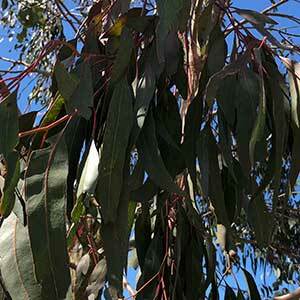 It is very cold tolerant and makes a good shade or shelter tree. The juvenile foliage is sought after for cut flower arrangements and the tree can be coppiced if required. This is a species that can grow it wet soils so is useful for revegetation along streams and gullies. Dig the soil over well and weed. Protect the young tree with a tree guard. Water during very dry periods over spring to summer while establishing. Generally not required, although as this species has a lignotuber it can be coppiced to form a hedge, or to promote new foliage growth for using commercially in flower arrangements. Common Name – Apple Box, But But. Soil – Well drained to wet soils. Height – To around 20 metres. Spread – To around 10 metre. Foliage – New foliage is rounded and a mid to deep green. Older foliage is lanceolate and long.